Designed by local Santa Cruz artist Dustin Graham. This collection of artwork is called Psy SC Life. 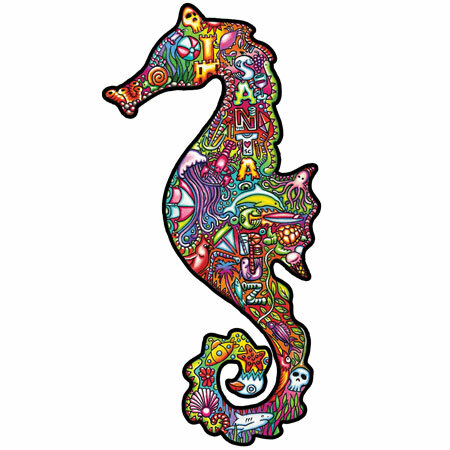 Original artwork drawn with colored pencils, then reproduced as a vinyl sticker. Each one is 8” max side. From official Topps trading card artist Dustin Graham. Who’s art is both colorful and eye catching. Not only does it catch your eyes it keeps them.